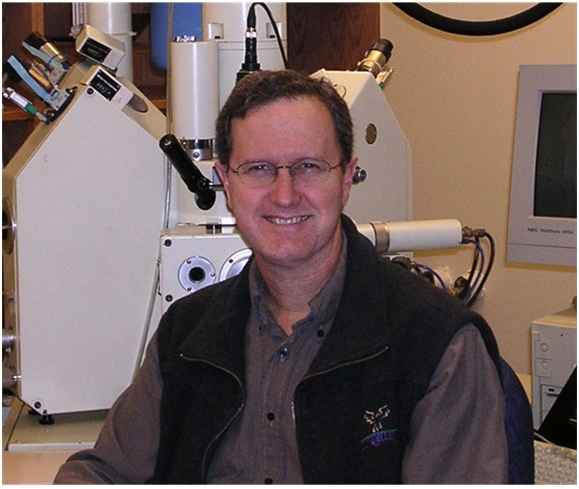 Dr. Brad Joliff is the Scott Rudolph Professor of Earth and Planetary Sciences at Washington University in St. Louis. He received a Masters Degree and PhD in Geology from the South Dakota School of Mines and Technology after serving on active duty in the US Army in Germany with the 54th Engineer Battalion and in Virginia at the Countermine Lab at Ft. Belvoir. He completed a postdoctoral fellowship at Washington University in St. Louis before joining the faculty there. Brad is here with us today to tell us about his journey through life and science. Brad’s teaching and research focus is on the materials and surface exploration of the Moon and Mars, and he has a special interest in the roles of rocks and minerals in the terrestrial environment and the sustainable use of geologic resources. Jolliff is a member of the Lunar Reconnaissance Orbiter (LRO) Camera science team and the Mars Exploration Rovers operations team, working as a long-term planner for Opportunity. He is the principal investigator of the “MoonRise” mission proposal, which has competed in NASA’s New Frontiers Program. Jolliff served as a member of the National Academy of Sciences Decadal Survey for Solar System Exploration in 2002, on the Science Committee of the NASA Advisory Council from 2006 to 2009, and recently on the committee that advises NASA on the curation and allocation of extraterrestrial materials.